- Connecting People with Complex Communication Needs. The Independent Living Centre NSW, with the generous support of the Telstra Foundation, will be running free Assistive Technology Workshops in 2014 to help people with complex communication needs using telecommunications. The workshop will be interest for young people with complex communication needs aged 12-25 years. Family members, carers, teachers, or allied health professionals are also welcome. Workshop will be run from February to May 2014 within NSW. Please refer to our Upcoming Events section on our website to register your interest. DisabilityCare Australia has reverted it's name to the original one used by the Productivity Commission in the report that recommended Australia establish a national disability insurance scheme. It's back to National Disability Insurance Scheme or NDIS. The public service organisation that manages and administers the Scheme will be known as the National Disability Insurance Agency or NDIA, sometimes refer as the Agency. Their website and staff email addresses changed to the shorter, easier-to-remember names from 28 October 2013. NDIA follows a strict no-frills, low-cost and gradual approach to the renaming exercise. They aim to direct as much staff time and Scheme resources in delivering the NDIS and maximising the benefits of participants' plans. We are very excited to deliver our service via this social media. 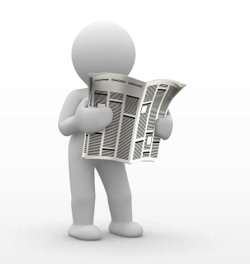 We hope you find our postings informative and useful. 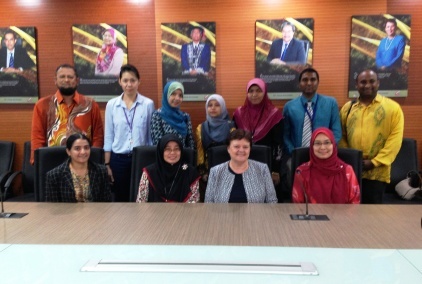 ILCNSW CEO Robyn Chapman and members of the Faculty of Health Sciences, Universiti Kebangsaan Malaysia, on her recent visit there. Robyn has also travelled to Singapore, visited Nanyang Polytechnic and Singapore Physical Disability Association (SPD). Ivan Tan, the Head of Technology & Vocational Training Division of SPD specifically commented the usefulness of @ magic, ILC NSW Assistive Technology Database, that it's a good source of information for people needing AT. ILC NSW welcomes with great pleasure the new DisabilityCare Australia scheme, the advent of person centred approach for people with disability, commencing today 1st July in the Launch Transition sites.